On Saturday, I attended a baby shower for my dear friend, Miss Mare. I was delighted to bake some sweet treats for the guests. In case you couldn’t tell, she’s having a GIRL! Much love to Miss Mare! Oh my goodness! So delicious! I would have to say the pink lemonade bars are my favorite followed by the strawberry cookies as a very close second! And I heard some guests comment that the Rice Crispie pops were better than any cake pops they’ve had! Not to mention, how incredibly cute do they all look?! Thanks so much, Mary! 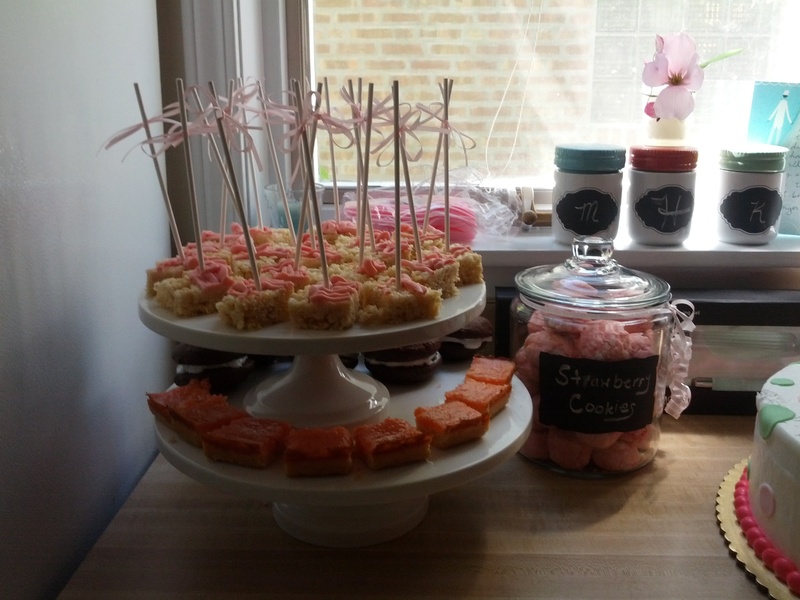 Glad to hear you (and your guests) liked these treats.